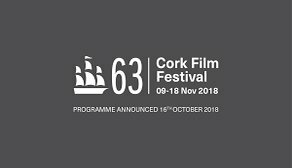 Film In Cork 2018 Short Film Award receipient ‘The Shift’ will have its world premiere at the Cork International Film Festival on November 10th, and also screens in competition as part of the "Best of Cork" strand on November 18th. ‘The Shift’ written by Mairéad Kiernan, directed by Megan K.Fox, and produced by Cork native Karen Twomey of Bankhouse Productions was one of 90 scripts submitted to Film In Cork for their Short Film Award earlier this year. Following a long and rigorous selection process, ‘The Shift’ was selected by the panel of judges, Oonagh Kearney and Pierce Ryan as the winner of the 2018 Short Film Award, valued at €8,000. Set in the Gaeltacht in West Cork, and peppered with focail Gaeilge, ‘The Shift’ follows a young girl’s quest to get her first shift at Irish college, and introduces three exceptionally talented young Irish actresses: Fiona Bergin, Úna O’Brien and Ciara Rose Van Buren. The world premiere of ‘The Shift’ takes place on November 10th at 2pm in The Gate Cinema as part of the Irish Shorts 1 Program, and screens on November 18th at 3pm in The Everyman Theatre in the Best of Cork Program.